We discuss everything related to home improvement, including how to DIY certain projects, how to find contractors to take care of the jobs you can’t do yourself, and how to identify problems in your home. Winter is Upon us, Which Means Mold is Soon to Come! Mold is one of those problems that everyone suffers from in time. There are many causes, and most are found in everyday household situations. Mold can be troublesome to get rid of, but it is necessary to do so as it can also be detrimental to one’s health. Mold can lead to exaggerated allergic reactions, and is not good to be around. What is it that causes mold, how do you know you have mold in the home, and what can be done to get rid of it? Let’s have a look. Mold is a fungus, bacteria if you like, that thrives in certain conditions. It is not dreadfully harmful, but can cause health problems and is not good for the home. Mold will rot wood and other materials, for example, so it is not great to leave it unchecked. Mold grows when you give it the chance to do so; the following are conditions where mold will take hold and begin to grow. Mold is generally given a chance to grow when it comes across certain combinations of humidity and temperature, as well as the materials it likes to grow upon. Excess condensation, for example, is a favourite for mold to grow, and you will find it in places where there has been more moisture than there should be, for example in cellars with leaks. Any room that has been flooded, or one with leaking pipes or other water that should not be there, will be prone to mold. 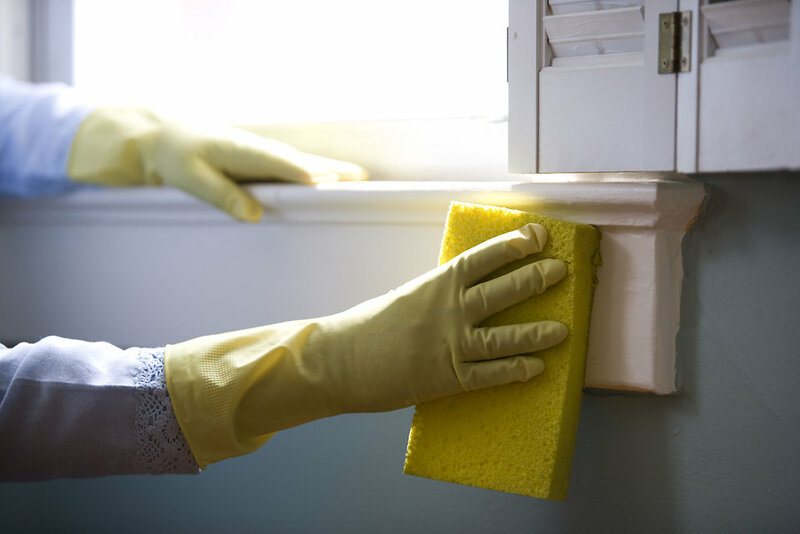 If you have had a flood or know of leaks, you need to check those areas for mold as soon as you can, and apply any rectification that you might be able to. If you house is becoming moldy repeatedly, you might want to consider the ventilation within the home. Poor ventilation is a primary cause of mold, and is one area that is easily attended to. One problem with mold is that, in come cases, it can be difficult to detect. There are two ways of testing a home for mold: one is to buy one of the many DIY test kits that are widely available, and the other is to get the professionals in to do the job. Which avenue you take is up to you, and many people tend to try the inexpensive route of a DIY kit first, to see if it works. You need to test both the air and the surface areas, and in different locations, and this can done with kits that are easy to use and inexpensive. However, correct identification of the type of mold you are subject to is important, and often this cannot be done without examination in laboratory conditions, so is best left to local remediation and inspection experts. Also, a professional will be able to advise you on the best course of action to take for the mold that your home is prone to. Be aware that mold is not a sign of a dirty home, but of one that has either poor air quality, lack of ventilation or is damp. All of these can come from a variety of sources – including the actual design of the home – so are not necessarily the fault of the homeowner. For peace of mind, or if you find you are suffering from allergic reactions or can smell that familiar moldy and musty smell, get your home checked for mold, and you could find it is an inexpensive way of making life much easier for everyone concerned. Below we will list a few companies we recommend for mold removal services, no matter where you are! *list will be updated regularly.